With top-quality products comes top-quality service. Verduyn Tarps is proud to offer our clients a full range of repairs and services on all our tarps and tarp systems. Durable, high-quality tarps help protect your cargo, your drivers and your bottom line. Verduyn Tarps has the know-how to help ensure your tarps continue to do their job for a long time. We also provide accessory installations and a delivery service. If you need a repair, Verduyn Tarps is here to help. We evaluate the extent of the damage and provide you with a repair quote — free of charge. Our expert tarp repair services can fix damage to your tarps of varying degrees. Whether your tarps have small holes or large tears, we most likely can have them back in like-new condition. 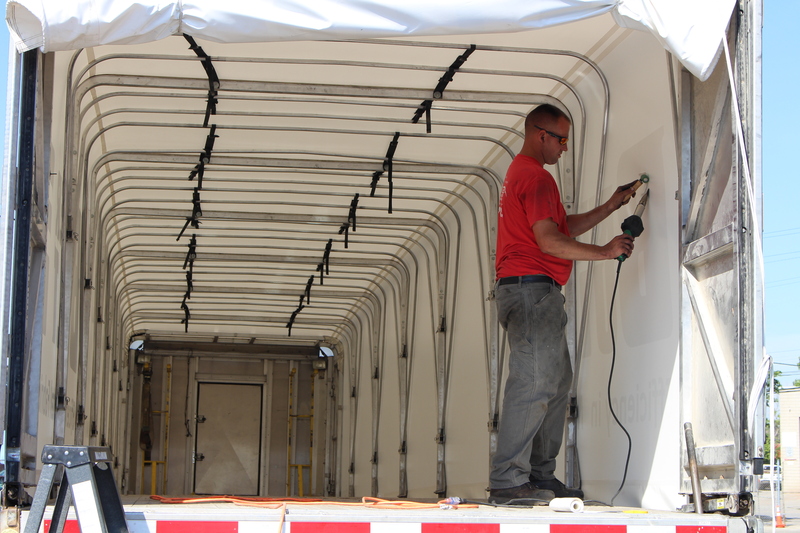 We use well-made materials for all of our truck tarp repairs. This can ensure your tarps will remain in good shape for as long as possible. We’re dedicated to helping you get the most value out of your existing tarps and tarp systems. From lightweight tarps to more heavy-duty products, we repair all makes and models of tarp systems. The experience of our skilled technicians means there are few varieties of tarps we can’t service. 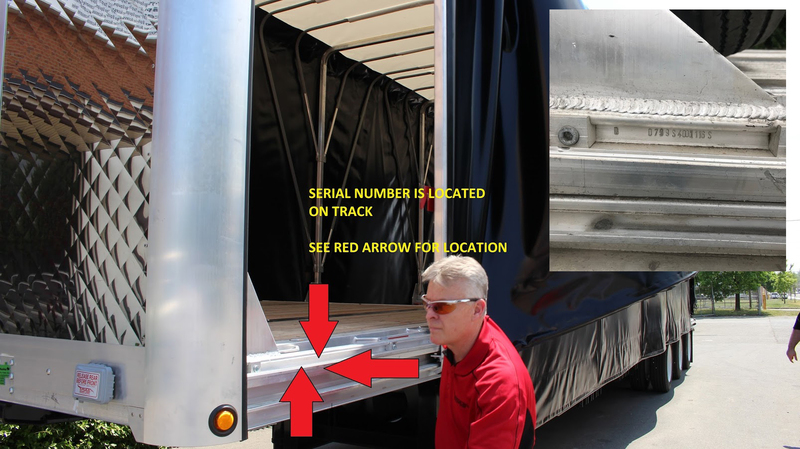 Every Eagle Tarp System has a serial number that can be used to identify the correct parts for each system. This is stamped into the track on the driver side at the front. The picture below shows you exactly where to find it. With a variety of accessories available to suit your needs, Verduyn Tarps is pleased to offer accessory installation. Certified technicians make your accessory installation safe and secure. No one knows more about tarps and related accessories than Verduyn Tarps. You’ll always receive the best possible service when you work with us. We’re dedicated to delivering exceptional quality and the most outstanding customer service at an honest price. Our commitment to the principles of continuous improvement has made us a thought leader in tarping systems. We are always looking for new and better ways to serve our customers.